The Aegis® LBR series valves are low torque, fully lined, high performance ball valves engineered for industries most hazardous and corrosive processes. The valves provide an excellent ratio of economic and operational performance in a wide variety of process applications. 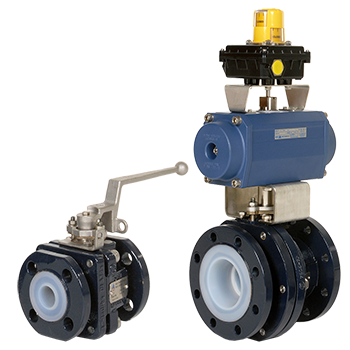 They serve as a reliable alternative to lined plug valves due to higher flow rate, lower torques, and minimum maintenance.